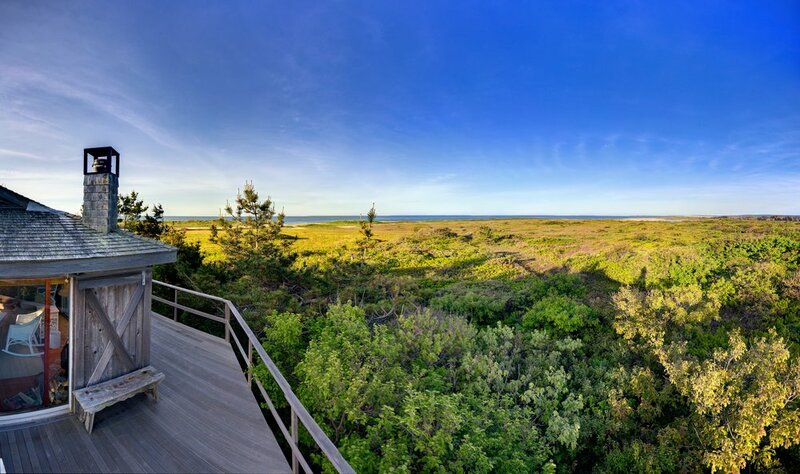 Martha's Vineyard Estate Parcel C — Chilton & Chadwick Oceanfront estate in Martha's Vineyard. This 30 acre oceanfront parcel with two lots features an idyllic one-bedroom beach house with direct ocean views and exclusive use of 300’ of private beach within walking distance from the beach house. In addition to having exclusive rights to use 300’ of private beach (See Site Map), the owner has rights to use, along with the other owners of South Shore Estates, the 141± acres of conservation land in the northern section of the property for hiking, trail running and recreation.